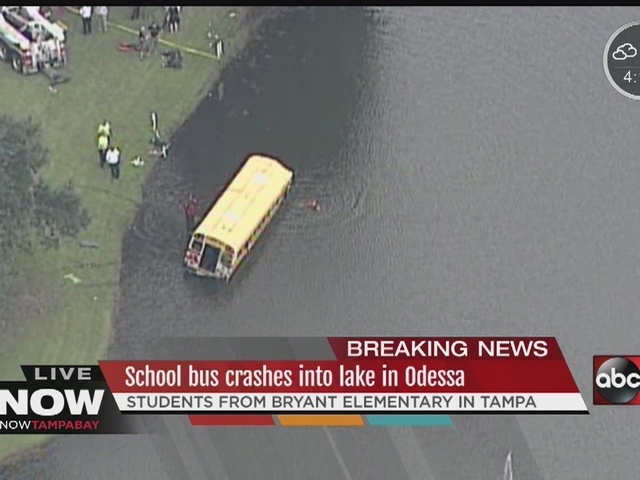 A school bus with children inside overturned into a lake in north Tampa, according to the Hillsborough County Sheriff's Office in Florida. 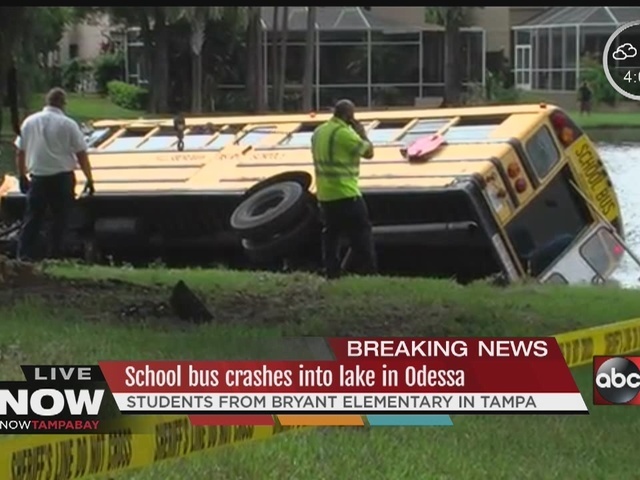 The bus was transporting students from Mary E. Bryant Elementary School in Tampa when the incident occurred near Nine Eagle Drive and Kingsmill Road. 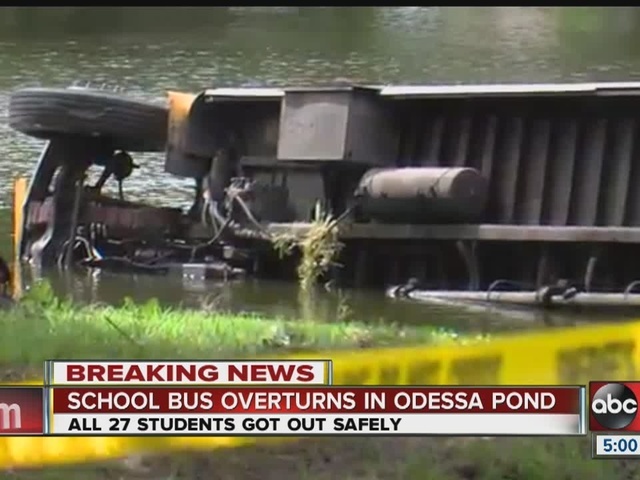 The students managed to get out safely and the driver was accounted for. There were no injuries, deputies said. 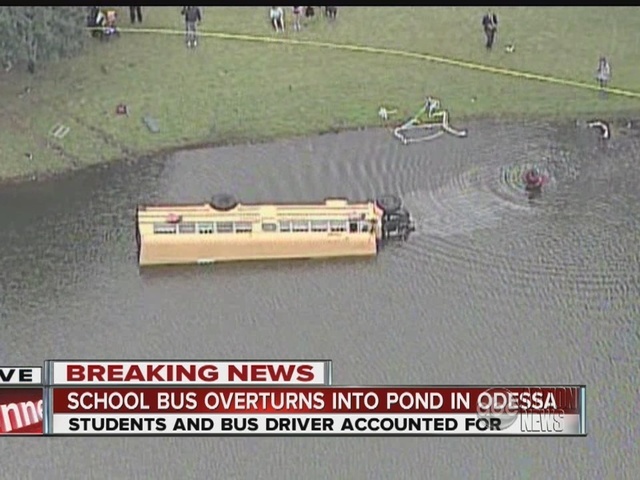 According to reports from the scene, 27 children -- ages 6 to 8 -- were on the bus, which wound up on its side in the water. Many of the children were able to escape through the rear emergency door, which had popped open. Passersby stopped and jumped into the water to help the students to shore. Deputies arriving at the scene joined the water rescue. Witnesses said the bus driver, 64-year-old Lenoir Sainfimin, played a big role by staying on the bus and helping get the kids to safety. Once on shore, many of the children were terrified and screaming. The bus stop was nearby and frantic parents rushed to the scene. 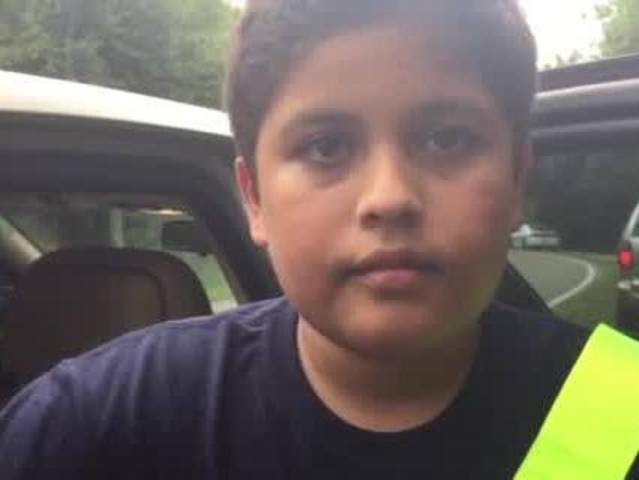 One mother told ABC Action News that her 7-year-old son was turning his head to talk with a friend when the bus left the road and went through a grassy area before landing in the lake. 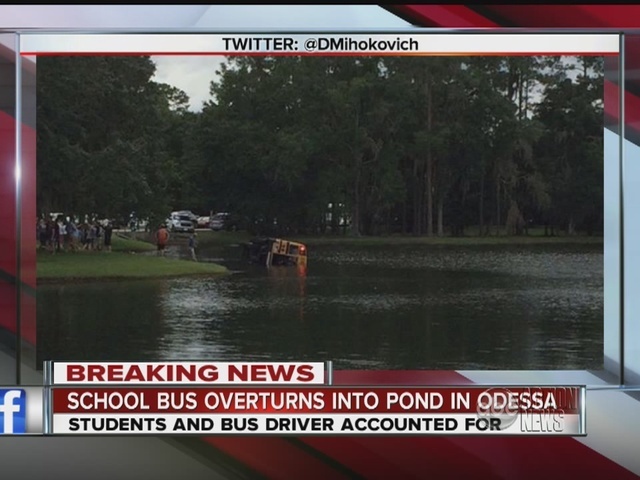 The roof of the bus hit a tree limb before it went into the water. Witnesses said the bus appeared to be speeding as it approached a curve where it left the road. Investigators are now trying to determine what led to the crash. It's believed the brakes may have failed. The ABC Action News I-Team found out the bus involved in this crash is 20 years old and has approximately 294,000 miles.